Back to School Sale and Such! 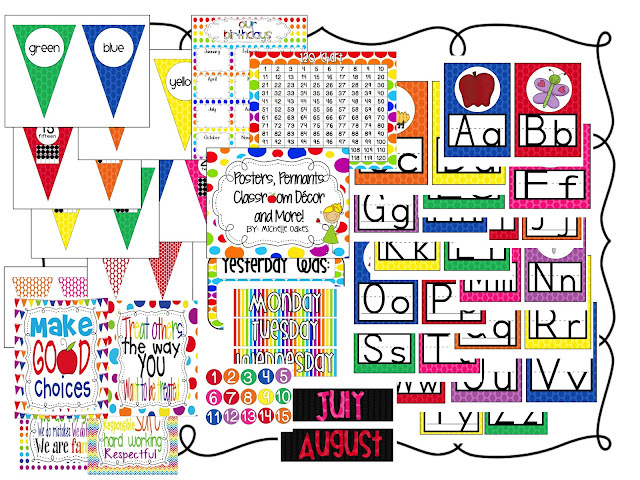 Are you all ready for back to school? It seems like summer flew by this year. They all go fast, but man I swear this summer was warp speed. I've been working so hard on getting ready for the new year. My classroom is nowhere near complete but I thought I'd share a sneak peek of the way it looks so far. I might be making a few changes because I'm crazy y'all, but it's coming along. In other news...for the next two days Teachers pay Teachers will be holding their Back to School Sale. I have discounted everything in my store 20 percent and then TpT is giving you an extra 10 percent off. It's awesome! I can't wait to shop. Here are some previews of some of my favorite items. This is my unit on punctuation. 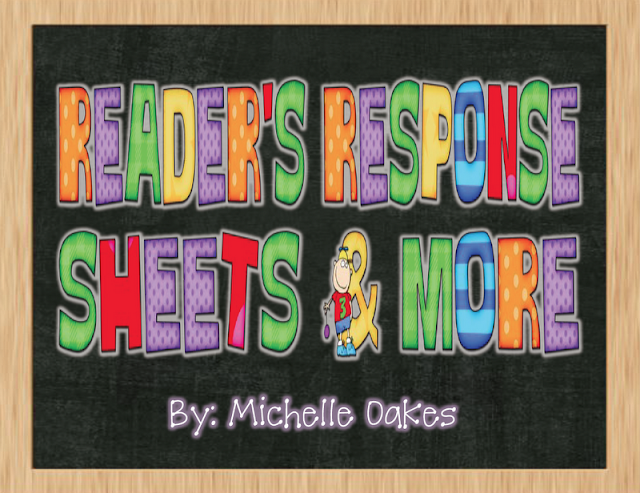 It's a super cute way to teach your kiddos punctuation. Plus I just added posters of each character. 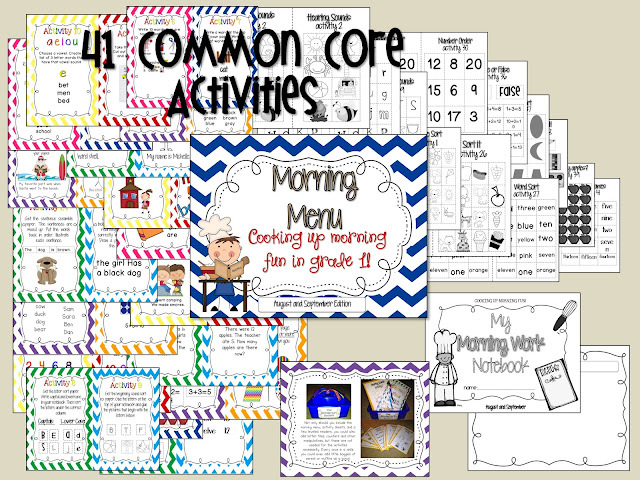 I also recently uploaded my Morning Menu activities. 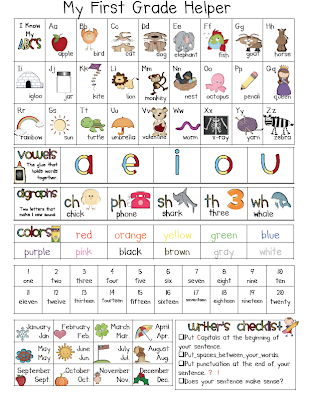 This is a fun way for kids to practice the Common Core Standards while still having choice. 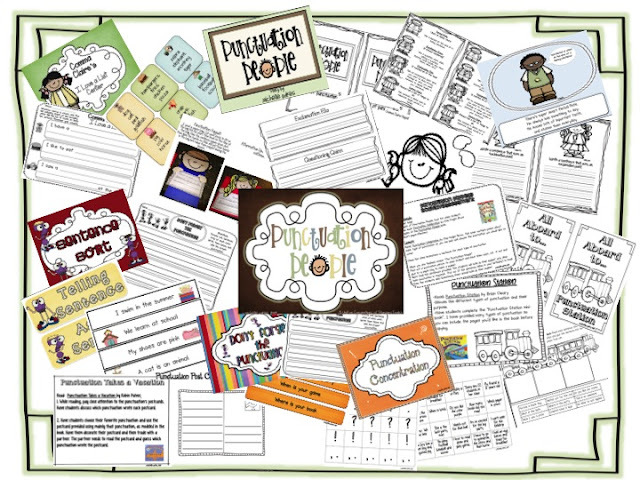 They are quick, easy activities that can be done while you are managing lunch count, attendance, etc. 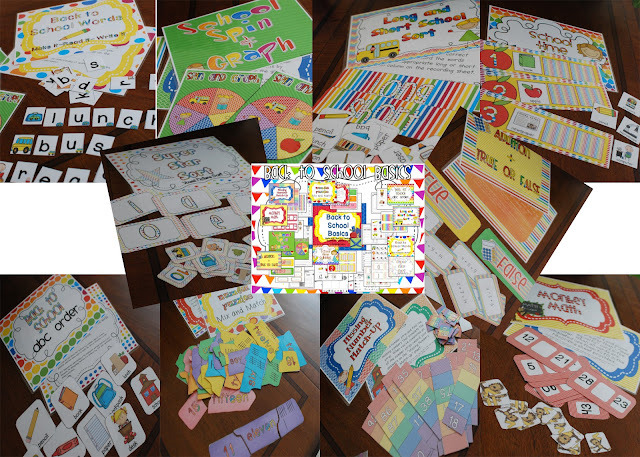 This summer I made some fun Back to School Centers based on the Common Core. There are 5 math and 5 literacy centers. I also have my Super Sight Word Pack. This includes activities for the entire year and a 100 word list. The list is mainly Fry words. 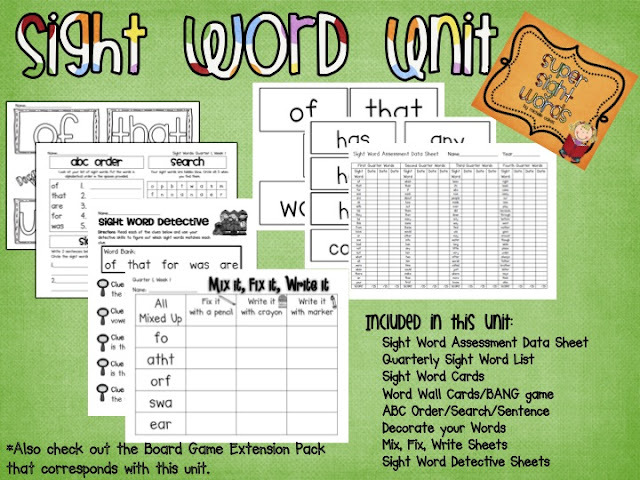 I also have lots of fun extension packs so there is no doubt your kiddos will know their sight words. I also just made a ton of classroom decor for my room. If you want something bright. I have it. It includes subway art, posters and an alphabet. 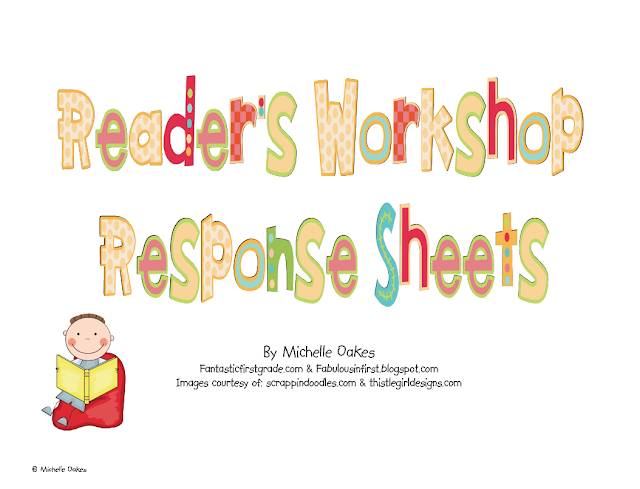 Also check out these great printables for Guided Reading and Reader's Workshop. And last but not least, my best seller. My First Grade Helper. It also comes in Kdg. 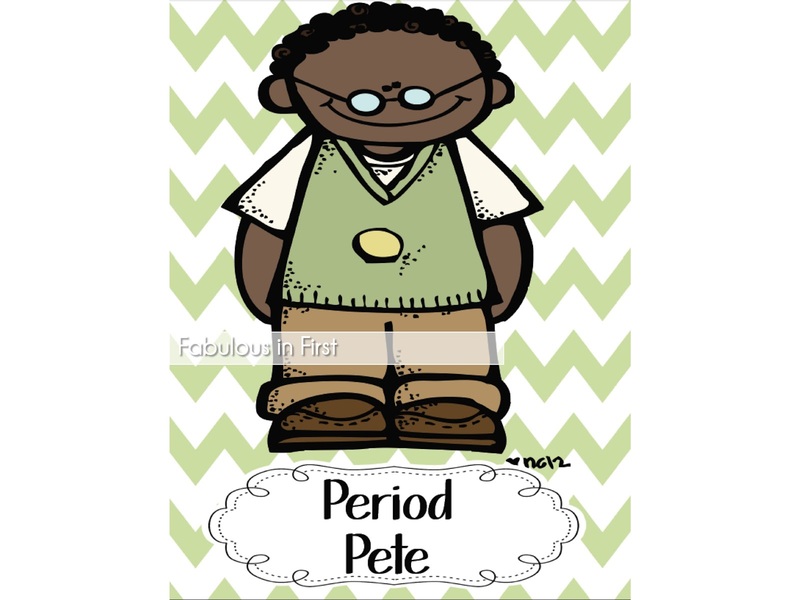 and Second Grade Versions. It's a must have for your kids as a quick reference. I love, love, love your desk/bookshelf! Is it from IKEA? I might need to get one of those! Thanks for sharing your pics! Great room!! You sure have a ton of stuff on Tpt. You have been so busy. You are an inspiration!! Thanks so much! If you get a chance check out my blog if you haven't yet! firstgradewow.blogspot.com I love reading your stuff!! Keep it up!! Is your library book shelf from Ikea? What about the bins the books are in?